Do You Trust a Robot? To Do What? Do you trust a robot? Well, you might say, it depends: that depends on who did the programming. We do use the word ‘trust’ that way. We can ‘trust’ a robot to do the same thing, over and over. It doesn’t have bad motives, bad days, or bad blood. It does what it’s programmed to do. But we would never say we’d trust a robot to “do the right thing,” or to “keep its owner’s best interest at heart,” or to “have a conscience.” That would just be silly. A robot is a machine. And silicon is not protein. Yet much thinking about social trust amounts to nothing more than programming the robot. Got problems on Wall Street? Tweak the incentives. Oil drillers behaving badly? Rewrite the programmer rules of the MMS. Much of that’s necessary. But it’s not sufficient. What’s to be done about all the non-robotic parts of society? Writing programs for robotic trust is pretty simple. Go read one of the economists or psychologists who boil down all human behavior to the consistent pursuit of self-interest, and borrow their formula. Define a few processes, insert rules and conditional reward/pain payoffs, and voila—robotic trust. Rettinger didn’t even have to break out a ruler for man who reached into an open window and stole a wallet from a car on Tuesday. She just needed the voice honed by nearly 50 years in Catholic schools. After a teacher saw the man swipe the wallet, the 5-foot-3 principal of Sacred Heart Elementary School in the Shadyside neighborhood went outside and firmly told the man, "you need to give me what you have." The unknown thief turned over the wallet, apologized and walked away. Rettinger says she merely said what she says to students when she knows they have something they shouldn’t. Let’s be clear: the Sister called out a stranger for misbehavior: and he responded. While strangers, they shared a moral code. While he was a lawbreaker and she just a little old woman, she trusted that he would not harm her, and that he would do the right thing. And so he did. The rules of interpersonal conduct—or morality, or trust, or conscience—are often considered to be far ‘softer’ than the rules governing physics, or programs governing robots. But Sr. Rettinger had enough confidence to calmly place a bet on their power. And she was right. There is a power that exists between human beings, a binding web of mutuality, that we have systematically denied—to our own detriment. Vijay Anand, chairman of 5th Pillar, has printed up over a million zero-rupee notes. The notes are to be given by poor people to officials who try to extort them for basic services. When engineered properly, the power of the force that binds people to each other can overwhelm the selfish power that economists presume drives us all. I’m getting tired of hearing it cited routinely, over and over, as if it were self-evident, that people are selfish and will behave badly unless stopped or otherwise incented, especially if they work for companies. They are not. People are vastly flawed and far from perfection; but they are also selfless and capable of great acts of generosity. Dr. Robert Hoyk lists a number of ways we can think about increasing trust, many of which don’t involve behaviors and incentives. 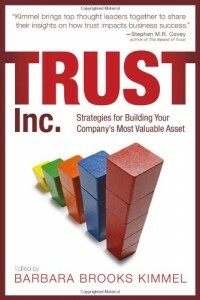 David Gebler suggests that culture drives trust , which seems perfectly obvious when you just put it that way. Then we catch wind of a headline and we’re off to the behavioral sanctions route once again. Programming the robot; what does it get you? The same thing, over and over. There’s a lot to like about dependability and reliability. Just don’t claim that’s all there is to trust. 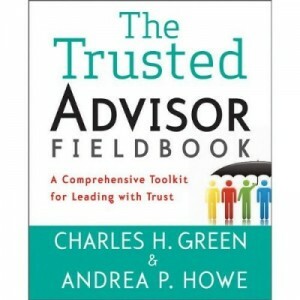 http://trustedadvisor.com/public/trusted_advisor1.png 0 0 Charles H. Green http://trustedadvisor.com/public/trusted_advisor1.png Charles H. Green2010-06-15 10:00:002010-06-15 10:00:00Do You Trust a Robot? To Do What? What Reality TV Can Teach Us About Trust: You’re Cut Off How Much Should Sales Approaches Vary by Industry? A new reality TV show, You're Cut Off, offers some hope for an increase in social trust.